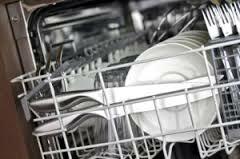 Our customers trust us to call every time they are in need of dishwasher repair in Calgary, Alberta. Although modern dishwashing machines are quite reliable, it doesn’t mean they can’t break down. From lack of proper maintenance to incorrect installation, the reasons of failures can vary. 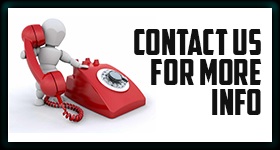 But regardless of the cause, you can count on our company to provide you with a prompt and efficient solution. All you need to do is to drop us a ring and we will send a dishwasher technician of Calgary to your home at short notice. By being highly qualified in appliance service, the pro will do all it takes to fix your unit on the spot! Proper dishwasher installation is vital for the long and effective run of your appliance. So if you are planning to get a brand new machine, let our company assist you with its setup. With years of experience, the local pros can hook up any unit without issues. Moreover, one of the specialists can come out for regular check-ups to nip all potential problems in the bud. Whenever you need assistance from a skilled dishwasher technician in Calgary, call our company with no delay. Committed to your needs, we always go the extra mile to serve them promptly and by the book. Whether you want to fix, maintain, or install dishwashers, we can ensure the utmost results!